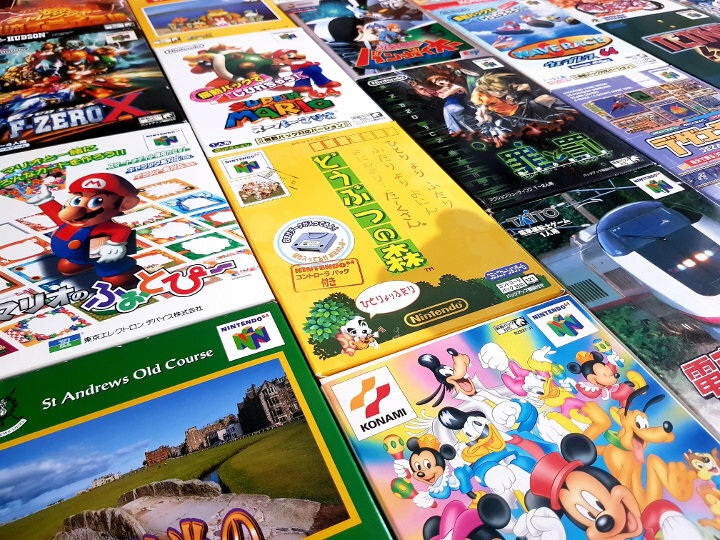 Mario Kart 64 and F-Zero X may be completely different types of racing game, but they have more in common than you may think. 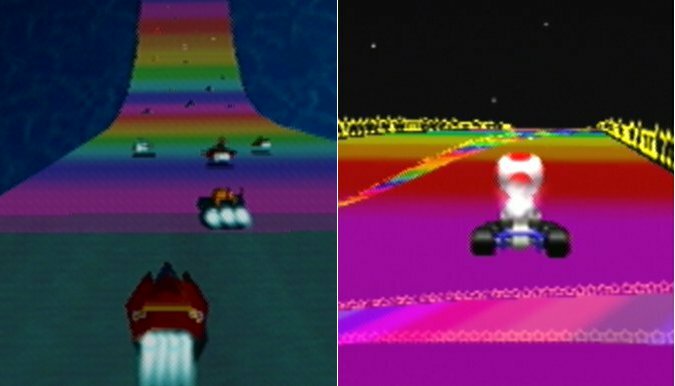 The popular Mario Kart 64 track Rainbow Road (which has been getting a lot of love in our Mario Kart 64 tracks poll) also made an appearance in Nintendo’s 1998 super-fast sci-fi racing game. 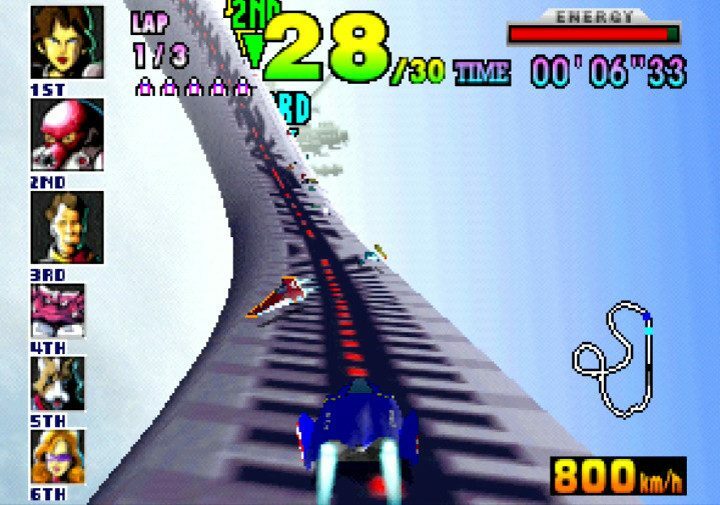 Rainbow Road in F-Zero X features the same layout as in Mario Kart 64, but sports a slightly different look and feel. 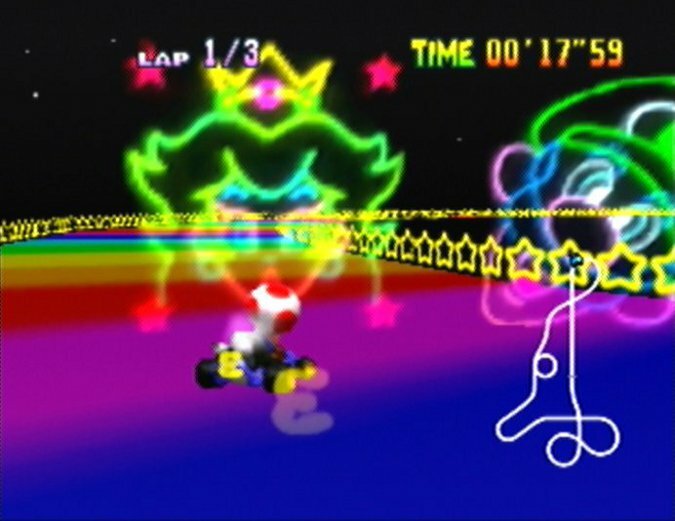 The course swaps the starry, star-patterned barriers that line it for more mechanical ones that don’t actually run along many portions of the course, making it considerably more dangerous than it was in Mario Kart 64. 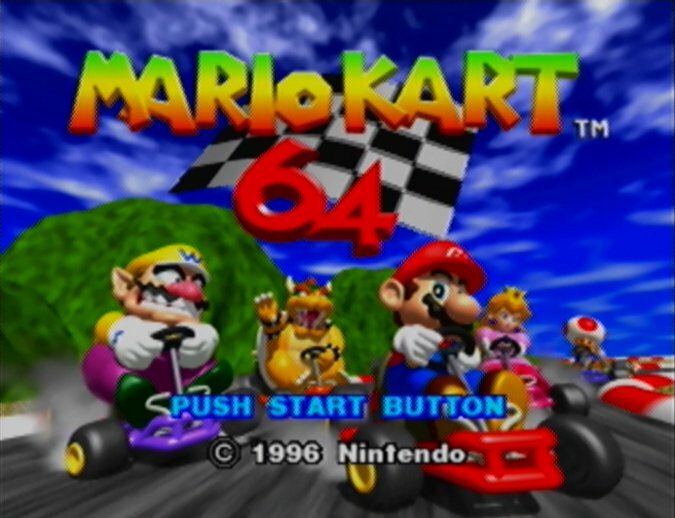 The neon-lit displays of the Mario Kart 64 cast no longer appear in the distance either – this version of track is more understated, and a bit more in keeping with F-Zero X’s somewhat more serious tone. The bounce mines (that send you flying into the air and potentially off the track) do a good job of reminding you of that. Which version of Rainbow Road is better? Nintendo no doubt included Rainbow Road in F-Zero X to make a point about just how fast the game is. 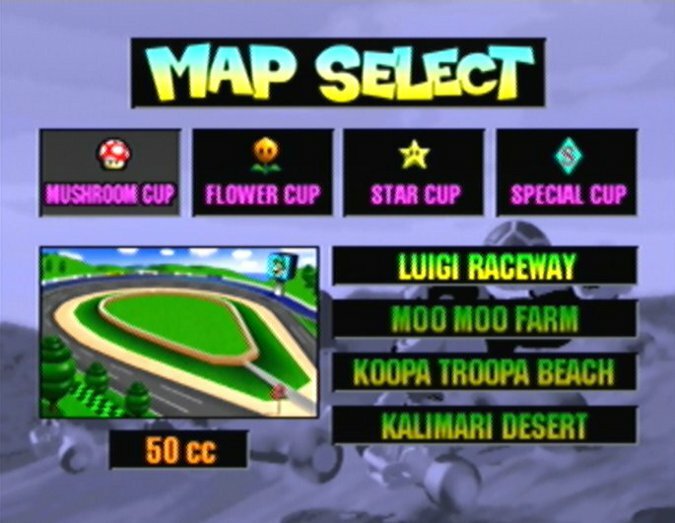 Completing three laps of Rainbow Road in F-Zero X will take you around two to two-and-a-half minutes, whereas in Mario Kart 64 you’re looking at five-and-a-half to six minutes. It’s clear that the track distances are not the same: F-Zero vehicles travel more than 10 times the speed of a kart. But of course if they were exactly the same then Rainbow Road in F-Zero X would have probably been far too difficult. 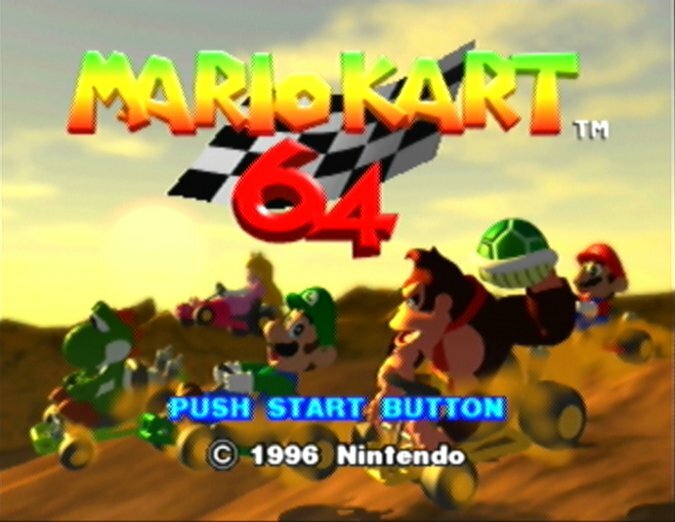 Mario Kart 64’s famous Rainbow Road shortcut, where you hop over the left barrier near the start of the race and land much farther along the track, cannot be recreated in F-Zero X. The games handle falling off the track very differently, and you only have a very small out-of-bounds areas in F-Zero X before you plummet to the ground. Moreover, falling off actually ends in your vehicle being destroyed and your instant disqualification from the race. But what about the amazing Rainbow Road N64 music? Sadly, this isn’t present in the standard version of F-Zero X. However, the F-Zero X Expansion Kit, which released exclusively in Japan for the 64DD, adds a F-Zero-inspired version of the music. 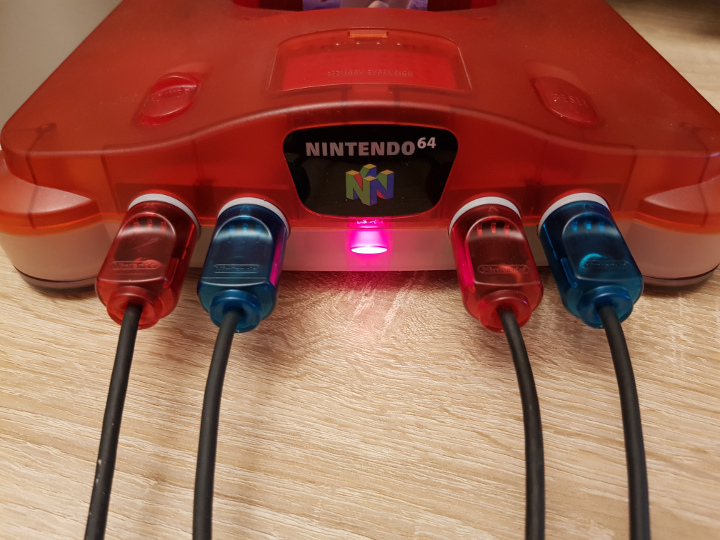 Want to experience the F-Zero X Expansion Kit without spending a fortune on a 64DD? The EverDrive 64 lets you play 64DDs without requiring the rare accessory.